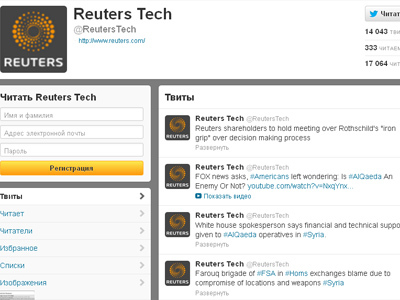 Just two days after phony posts appeared on Reuters’ blog, the agency’s Twitter account was also hacked. Once again, the hoax tweets informed readers of rebel losses in Syria, and reported fake White House admissions of supporting al-Qaeda. Many of the tweets were sensational, but fraudulent statements coming out of the White House. “Obama takes Al Qaeda off list of terrorist organisation, says Al Qaeda no longer a threat to US interests,” the Reuters Tech account tweeted Sunday. Other posts reported that US President Barack Obama had signed executive orders ordering the declassification of classified information “that US never stopped funding Al Qaeda since 80's (sic)”. Another phony Obama EO reported by the imposter tweeter allegedly banned “any further investigation of 9/11”. 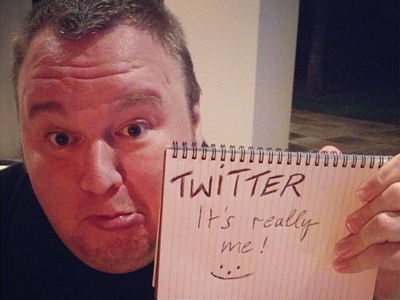 Other tweets repeated the information that was presented in Friday’s fake blog posts. The Free Syrian Army (FSA) was said to have been withdrawing its troops from Aleppo. One tweet claimed that General Mustafa al-Sheikh, the head of the rebel group’s military council, had been killed. Another stated that Syrian forces had captured a Turkish general and a French national. The seemingly sensational postings were all the more surprising given that they were made from Reuters Tech, an account that normally posts tidbits of info about the latest gadgets from Apple, Samsung, Google and other technology companies, as well as other news pertaining to the industry. 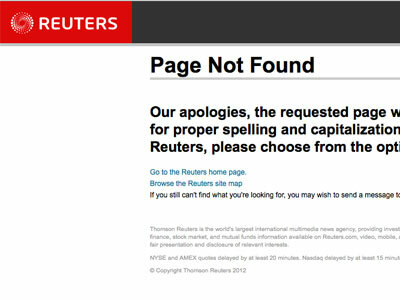 Reuters admitted that one of its Twitter accounts had been hacked. 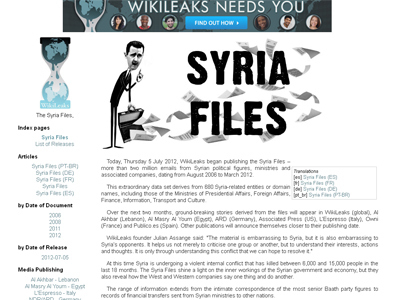 It is unclear who was behind the cyberattack, though a pro-Assad hacker group known as the Syrian Electronic Army earlier hacked al-Jazeera’s Twitter account, saying a similar fate awaited other “fake revolution” websites.